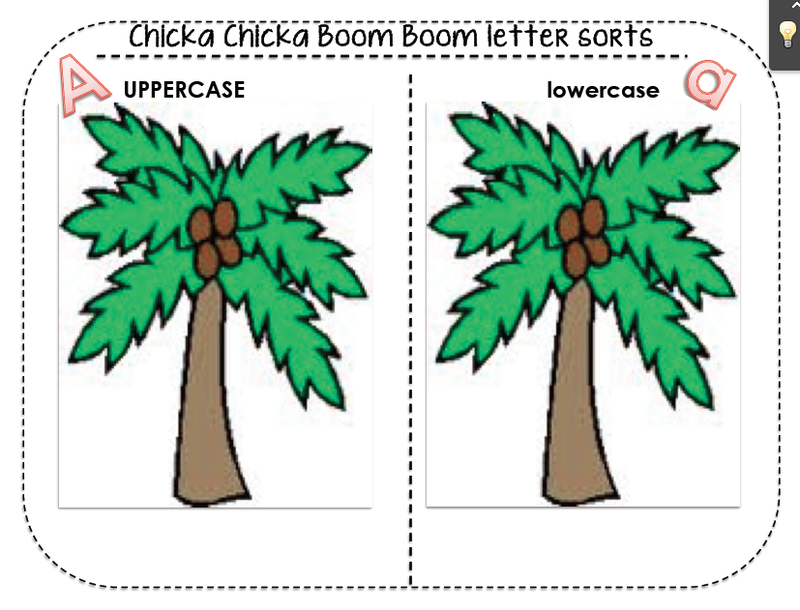 The last two days we have been reading Chicka Chicka Boom Boom and I wanted to create a sheet so my kiddos could practice sorting uppercase versus lowercase letters. I found something similar on-line (but I can’t remember where) and sketched a picture of what I remember it looking like. I created one of my own to quickly print out for practice. I printed one of these for each of my two students and eventually I will put these in my ABC/Work Work Station when I get my Literacy Work Stations up and rolling in the next few weeks.